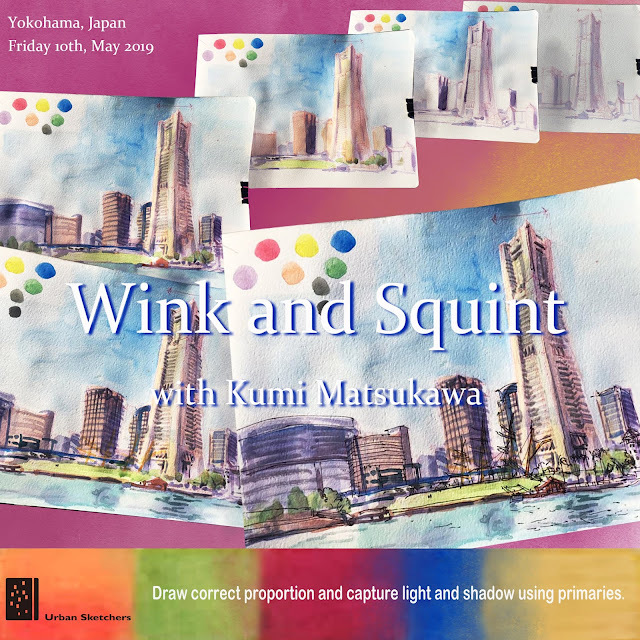 Wink and Squint : Draw correct proportion and capture light and shadow using primaries. This is a basic course to learn how to measure and draw the object's correct proportion. In the first half time you'll learn measuring method (just like art school students do) using handle of a pencil as measuring device. One important tip is to see things with one eye. This way you can see the vast view in front of you like seeing a flat picture. The second half time, you'll capture light and shadow using primary colors only. 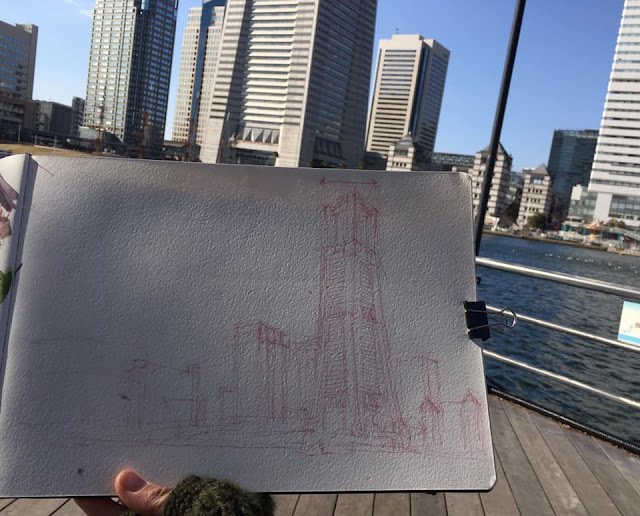 This helps you to avoid being obsessed with copping local colors, if anything, achieving harmonious order in the drawing. The tip here is to squint to see value. First, I'll give demo. I'll show how to measure relative ratio, angle, using handle of pencil, to develop correct proportion for fifteen minutes. When I figure out one part of correct proportion, (it becomes a measure of my drawing). I'll keep comparing relative ratio using its hight (or width ) to every other parts. By doing this, my drawing's relativity must become pretty correct in proportion. Then everyone do the same for one hour. I'll give one by one guidance during this session. 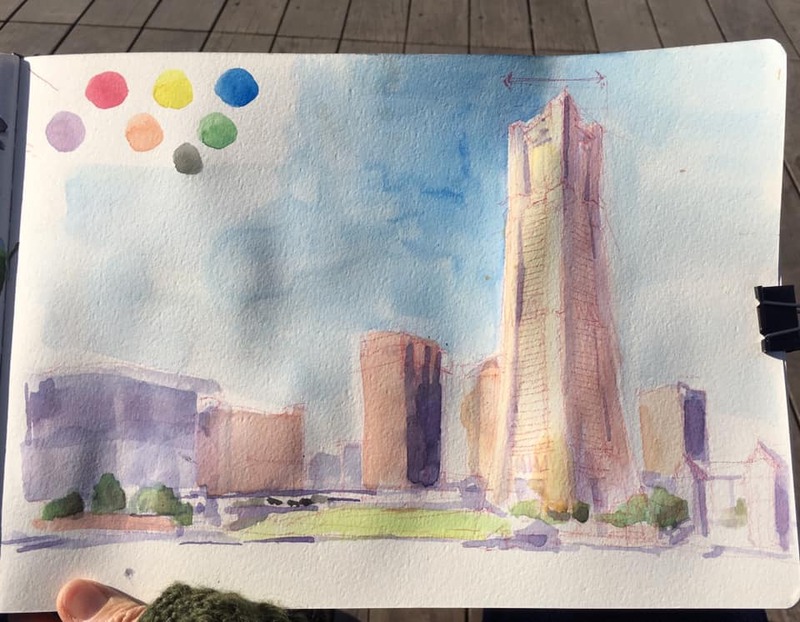 Second half time, I'll give next demo using primary colors only on top of the colored pencil drawing for thirty minutes. This way I pay attention more on relative contrast ( like tone drawing) but the drawing will still have relative likeness in hue and chroma. The idea is: mixing these three colors to make any color you desire is up to how you control relative portion of pigments. I'll show how to make vivid, light, dark, and dull toned colors; and how to apply them to make receding feel as well as protruding feel to give depth in your drawing. Then everyone do the same method for one hour or more. I'll give one by one guidance during this session. In the last fifteen minutes, I'll have Q&A, feedback time. 1. To get used to measure relative ratio and draw correct proportion much effortlessly. 2. To master analyzing how the certain area receive more light than the area next it, instead of looking for what exact local color each is. 3. 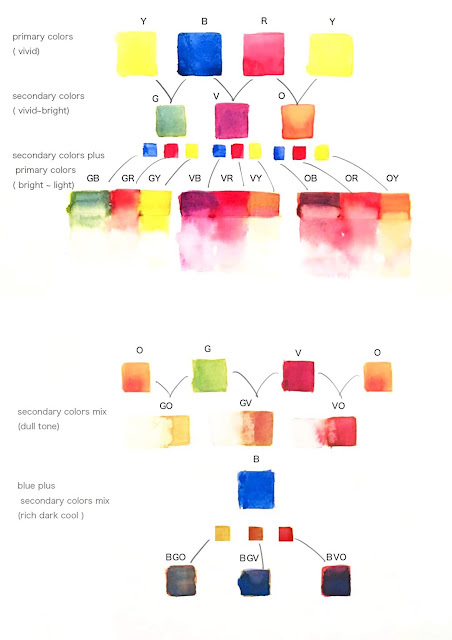 Become skilled in controlling hue and chroma using minimal number of pigments. 2000 Yen, cash collected on location. - Sketchbook for multi media, medium size.